ClearPlay Blog: Father's Day Gift Away! I'm a firm believer that most Dad's need three things to be happy, relaxed and easy with the car keys. #1. Love and Hugs. Deep down inside, Dad's are just great big teddy bears who simply need a little love from their kids. #2. Good Food. I mean honestly, I think Dad's were the ones who labeled it 'Comfort Food'. #3. Control (or at least the illusion of it). And #3, my friends with Dad's, is where The ClearPlay Blog is going to help you this Father's Day. Give your Dad the feeling that he is in control of at least one thing with this! Our grand prize for Dad! It's a remote control Jammer so that Dad can set the TV to the game, the movie or the quiet and no one else can change it. 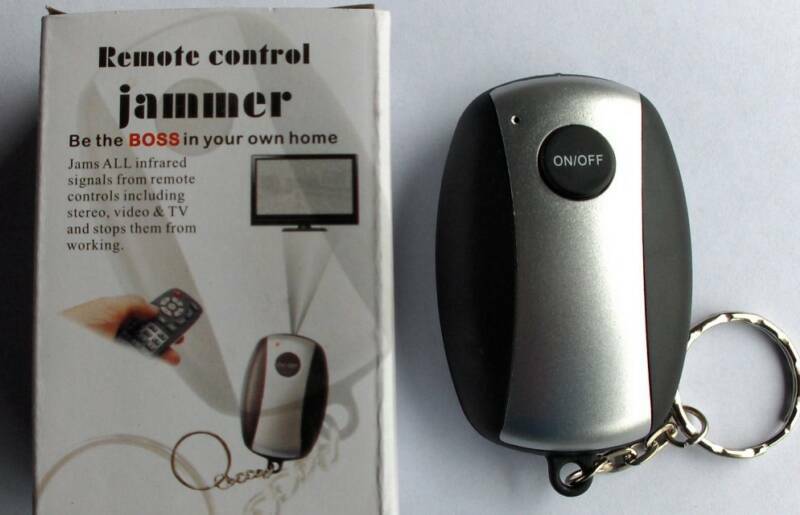 This way, Dad can loosen his grip on the remote control – without actually loosing control! Plus, he can practice his evil laugh if anyone tries to come between him and his favorite show, "Mmwaahahaha!" 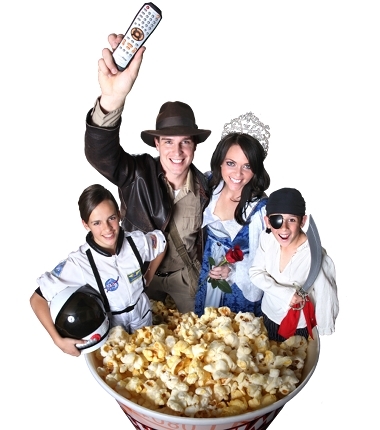 We're also going to send the winner a copy of their Dad's favorite movie on DVD to be able to watch uninterrupted. I love my Dad and I hope you all love your Dads too! I love movies and I know you all love movies too or you wouldn't be on this blog site right now. So this week, to gain your entry into this giveaway, I want you to tell me what movie character your Dad most resembles. In this case a resemblance can mean either your Dad physically looks like the character or he acts like the character. 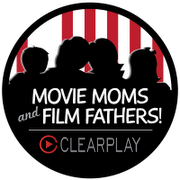 If a physical resemblance is what your going for then please email a photo of your Dad and who he looks like to moviemoms@clearplay.com. If it's his personality or the way he acts then leave your comment here explaining why. We're going with the best entry on this one. Whoever has the most air tight case for why their Dad is most like a specific character, will win the prize. The four runners up will earn an extra five entries into our Talk-Away Give-Away for the 25" flat screen TV. We'll close this contest on Thursday, June 17th at 12:01 a.m. and announce the winner that very same day. To start us off I must say that my Dad, to me, most resembles Anthony Hopkins in Meet Joe Black (which also happens to be my favorite movie for the last 10-15 years). Just like William Parish in the movie, my Dad loves "everything in excess". Excessivley long motorcycle rides and sailing trips, lots of time with family and collecting 100's of bags and 100's of pocket knives. William Parish loved his wife. My Dad loves and adores my Mom. Mr. Parish wanted to see his daughter "deliriously happy" more than anything else. My Dad has worked hard to make sure my sister's and I chose wisely the men that we married. There is one scene when Bill Parish takes a dramatic bite of cake (which he hates) just to please his daughter and the way he does it, I swear is an exact flourish my Dad would make with something like that. William Parish has a special way with words and my Dad can talk about walnuts like they're something profound. And lastly, William Parish was a successful and deeply good man who loved his daughters. And so is/does my Dad!